Studies have shown that high calcium intakes may reduce high levels of bad cholesterol in the blood, and increase low levels of good cholesterol both of which are known risk factors for cardiovascular disease. Regular consumption of low fat dairy products can help to reduce the risk of type 2 diabetes, which has been a longstanding problem in adults, and is becoming increasingly common in children and adolescents. World Milk Day was celebrated on the 1st of June. I thought this was the right time to write about the speciality of the Dairy Industry in the Netherlands. 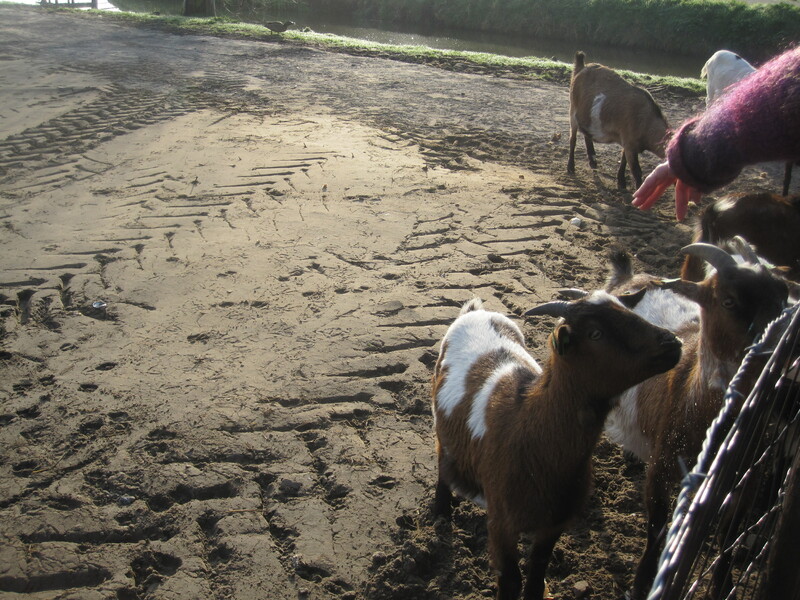 When we came to Holland, one of our neighbours took me to the nearby farm, where I could get pure cow’s milk and cheese. Getting milk directly from farm…. reminded of my childhood days at my maternal grandparents’ house. I remember as a child playing, hearing to stories from chithies (maternal aunts) and even being fed breakfast and lunch in the cow shed… seeing those innocent faced cows and calves. Though my daughter finds this very different and interesting to be fed in a cow shed?! The back portion of the really big house was the cow shed… spacious for many cows but thatha (grandfather) had two or three cows. Early in the morning, konar ( traditional herdsmen, who come to houses to milk the cows) used to be the first person to ring the door bell. He would milk the cows and leave. When we woke up, we would find the big brass pots filled with foamy fresh milk. Then, the milk would be boiled – children get plain milk and adults, their frothy filter kaapi (the-morning-cup-of-coffee/). In the port city of Thoothukudi, lies our thatha veedu – grandpa’s house. The first drawing-room of the house, called the ‘tharsa’ is meant for formal and non-familial guests. In the morning hours, it is a special room for those special friends of thatha who would come to discuss problems and to find definite solutions to national and international issues. Here, there is non-stop supply of milk and kaapi as per preference of guests… when the other part of the house is busy getting ready to go to college and school. I think, thatha veedu used to compensate for the lack of parks or beaches – the main chatting spots of elderly members of the locality. forms the important phases in the life of the brass pot/pots of milk, milked by konar early in the morning. Not to mention the last litres of the day’s milk, which would be converted to sunda kaichina pal – thickened milk with/without sugar -bed time drink for the 15 member family. Left over full cream yoghurt would be diluted to buttermilk and churned every morning in turns, by the ladies of the house to make butter. Later, when I grew up in Chennai, cream was removed from the boiled milk and stored in the freezer; then fermented with some yoghurt overnight, and churned/beaten in the mixer jar to get precious butter. Influenced by the cow shed and milk experiences in grandpa’s home, having cows in my backyard and making all possible by-products at home continues to be my dream till today. 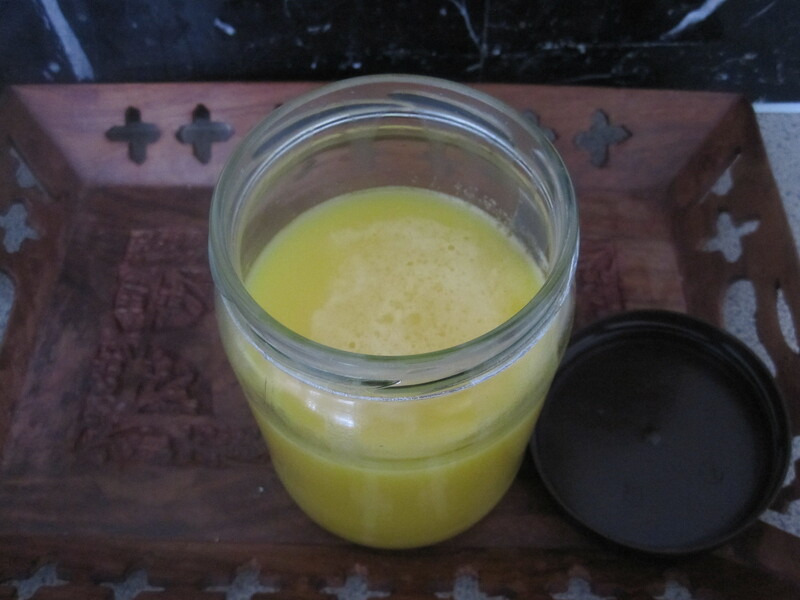 Hence, wherever we have lived, I would first trace the possibilities of fresh milk and next – collect cream in the freezer, make butter, then boil the butter to get nei -ghee/clarified butter. And making yoghurt at home is an everyday routine in almost every household in India! 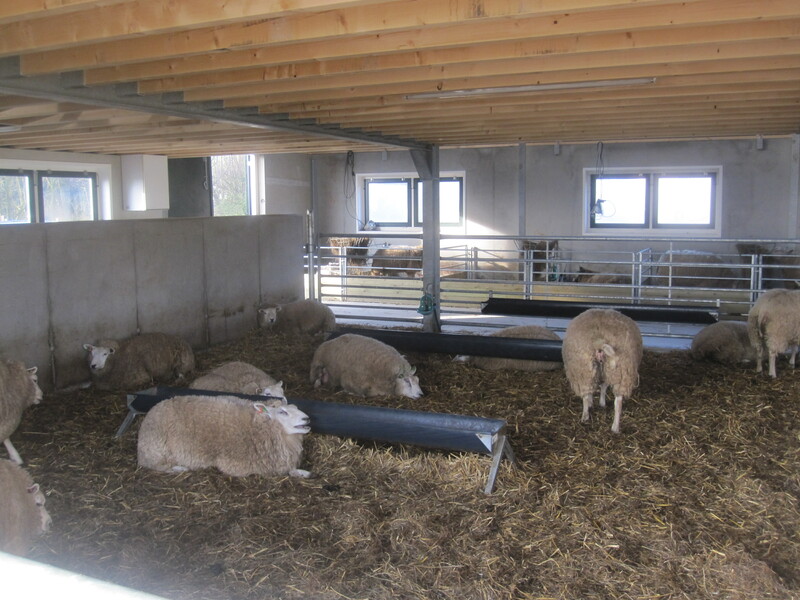 Now, when I came to the Netherlands, where everything is available fresh in the supermarkets… I felt those farms which were nearly 15 minutes walkable distance from our house was god sent. In appreciation of my childhood, teenage and adulthood unvanished dream, God had given this opportunity to buy fresh milk, boil, preserve cream, make butter, boil it to ghee….. same as thatha veedu – grandpa’s house!! I was truly elated. Thus started my milky milk journey in the Netherlands – Appreciation of farm fresh milk and its various usages – everything under one roof – MY HOME! It was after a year and many months, that a wise soul – a truly practical friend of mine – brought to light the easy ways of getting everything from the super market – especially when there is no helping hand as in India. I thought for a few more months and switched over to milk, cream and butter from super markets. My work drastically reduced, but I felt terribly guilty of doing injustice to those farm cows… who would be deprived of my untold love and appreciation. Though I am an enlightened soul now – dependent on the super markets, I do pay a visit now and then to buy some fresh milk from the farm nearby. Because, the freshness of milk and everything else which comes from it is simply incomparable. 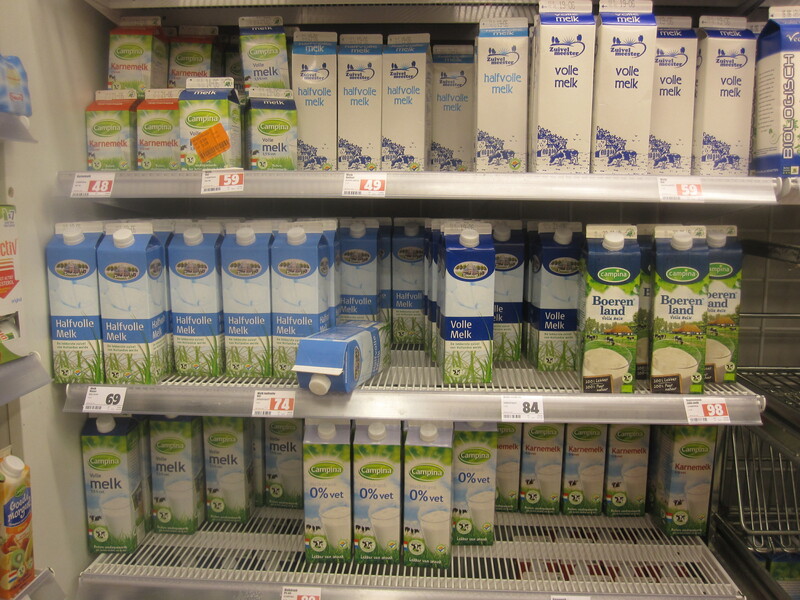 The milk products section in the supermarkets here in the Netherlands speaks the success story of the Dutch Dairy Industry. When I close my eyes and think about the Dutch landscape – in the background of a delightful blue sky, luscious green pastures and the patiently grazing cattle is what comes to my mind. The cow is certainly given a very high position by any dutch individual. Celebrated as the world champion of milk production and cherished as the national favourite animal, the Dutch cow is almost sacred. The statues erected here and there speak volumes; the Dutch are proud of this die-hard symbol of Dutch prosperity. This love affair does not run deep, however. The Dutch like their steaks. The Netherlands has four million cows and thirty thousand dairy farms; The Dutch dairy cow produces 35 litres every day – a world record. 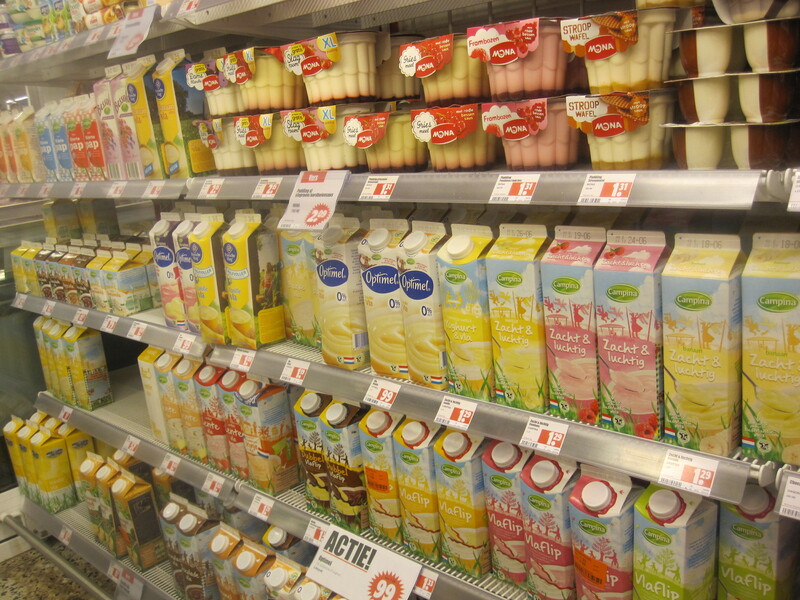 The amazing varieties of milk products available in the Netherlands is not a new scenario. 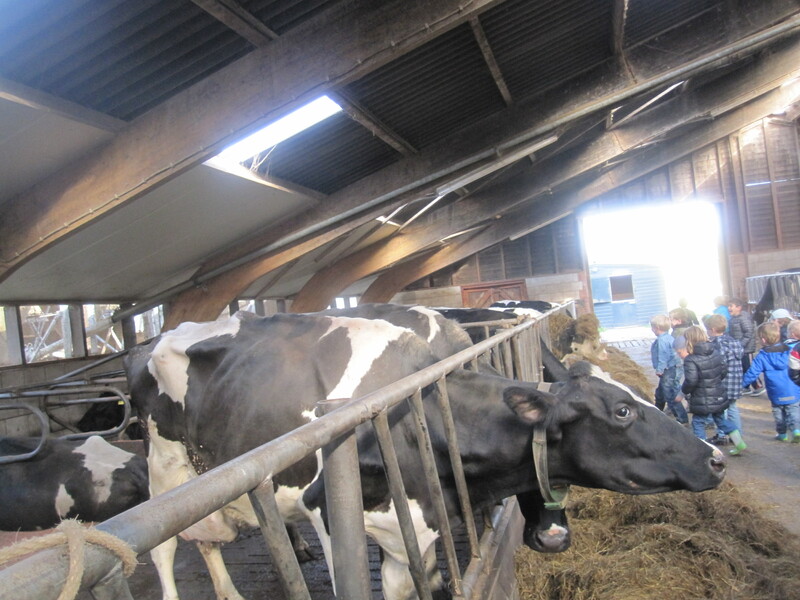 Many experts emphasise that dairy production has been a speciality of the Netherlands for centuries. Fresh milk in cans (2.4 lrs and 2 lrs), fresh milk in tetra packs (1 lr. 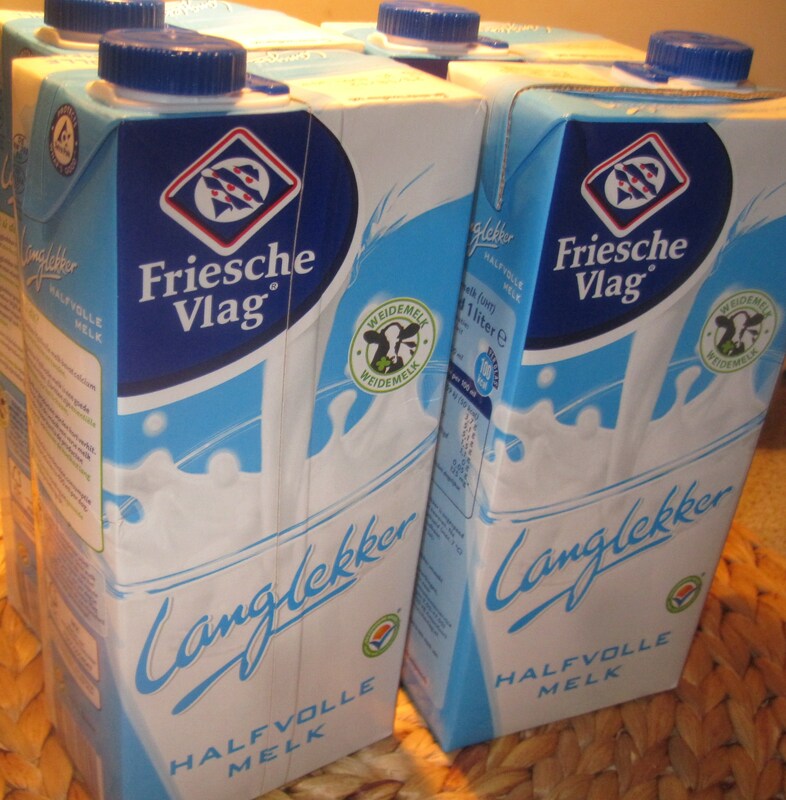 and 2 lrs) – categorised as full cream milk (volle melk), semi skimmed milk (half volle melk), low fat milk or 0% fat milk (magere melk) is the basic form of milk available in super market. 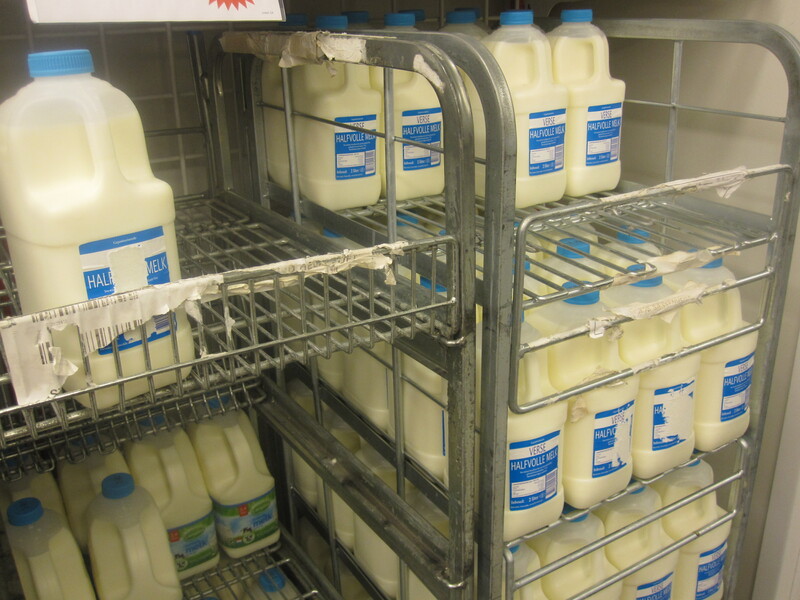 Apart from the fresh milk stored in the chilled food section, the above mentioned categories of milk are also available in the non-chilled area as Langlekker Melk – or the storable milk with its expiry date. Fruit flavoured milk drinks are a treat to taste buds. Different kinds of yoghurt – full fat greek or stand natural, fruit flavoured yoghurt, quark, or flavoured yoghurt drink – the list is too long. 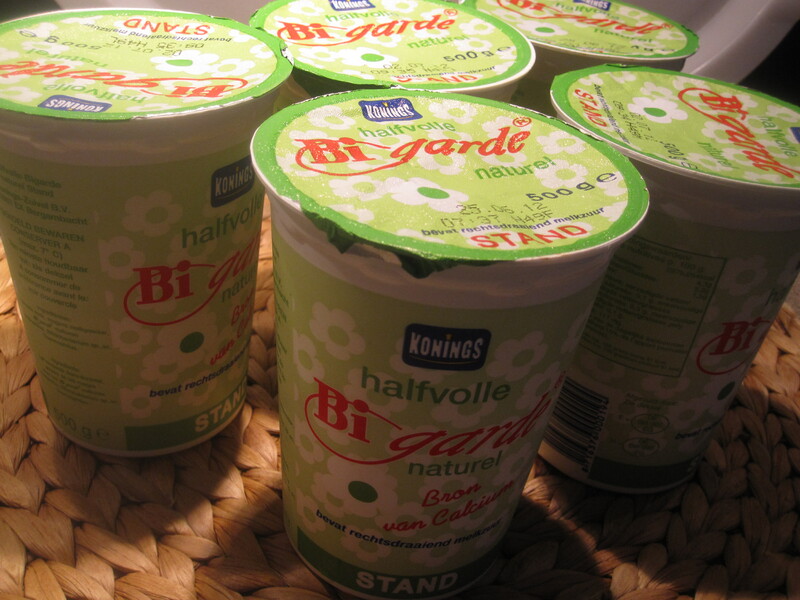 The stand natural yoghurt is similar to the Indian set yoghurt and hence I find many Indians prefer this. 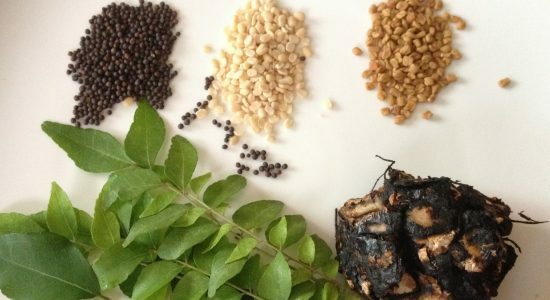 There is also the free-flowing roer yoghurt suitable to make more kuzhambu(https://dosaikal.com/2012/05/10/mor-kuzhambubuttermilk-curry/). Yoghurt in combination with fresh fruits, readily available fruit flavoured yoghurt or quark is also served as a dessert after a Dutch meal. Now, the true dessert arena has flavoured custard – vanilla, strawberry and chocolate; different kinds of pudding and the ever tempting varieties of ice cream. Other dairy products include coffee milk, buttermilk called karnemelk, condensed milk and the most popular of all Cheese! There needs to be a separate post about the world-famous dutch cheese!! One third of the total surface of the country is occupied by dairy-farming. With 11 million tons of milk, The Netherlands are the fifth largest milk producer in the European Union (after Germany, France, the UK and Poland). Nearly one fifth of the milk in the Netherlands is processed into ingredients (caseinates, lactose, whey proteins) for producers of daily foods, specialty foods and pharmaceutical products. The most important part of the dairy production is exported. Total sales abroad amount to € 4,5 billion (2008). The Netherlands export a quarter of the total EU-dairy export. 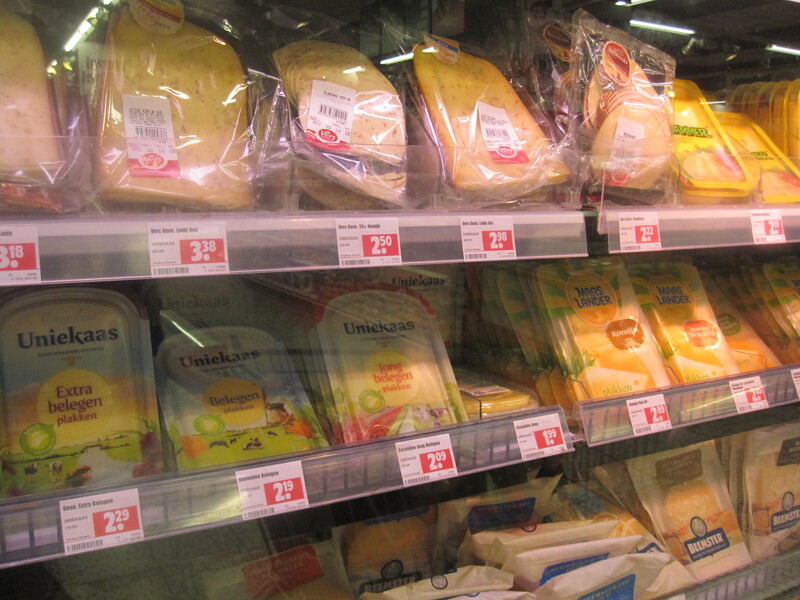 The Netherlands counts 20 dairy companies with 52 plants. Some companies are the owner of enterprises in other countries. Most of the companies are cooperatives. 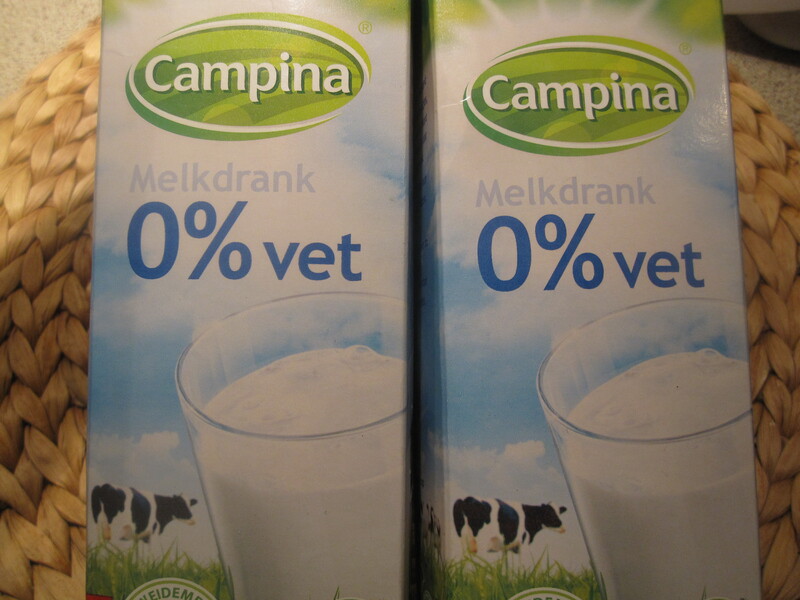 One, big, cooperative enterprise (FrieslandCampina) dominates the Dutch dairy industry. About 75 percent of all the milk is transformed by this company. taken from http://www.eda2010.com/?PageID=92; (EDA – European Dairy Association). 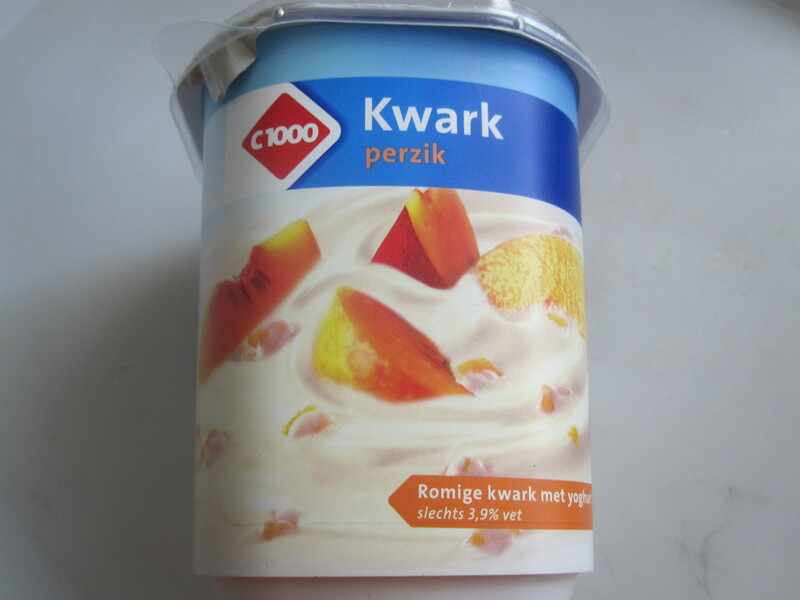 FrieslandCampina is the biggest player in the Dutch dairy market. 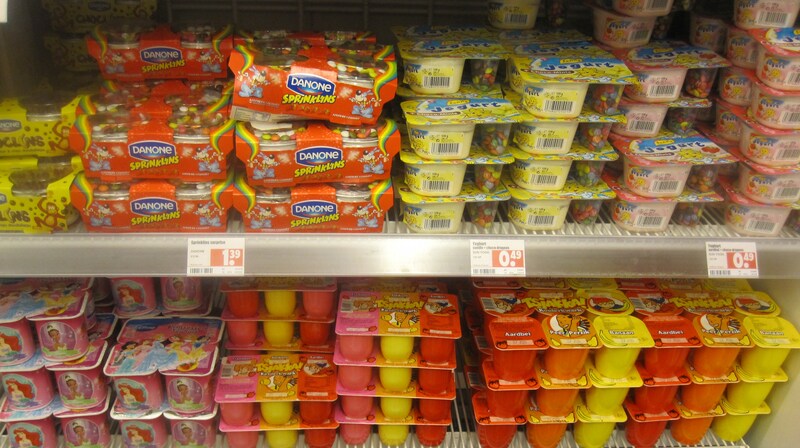 Campina, Mona, Chocomel, Fristi, Milner and Optimel are products of Friesland Campina. The Nederlandse Zuivel Organization – The Dutch Dairy Association (NZO) is the sector organisation of the Dutch dairy processing industry. Dairy companies, jointly processing approximately 98 percent of Dutch farm milk, are affiliated with the organisation. The dairy activities of NZO members have a turnover of some 10 billion, two-thirds of which are exported. 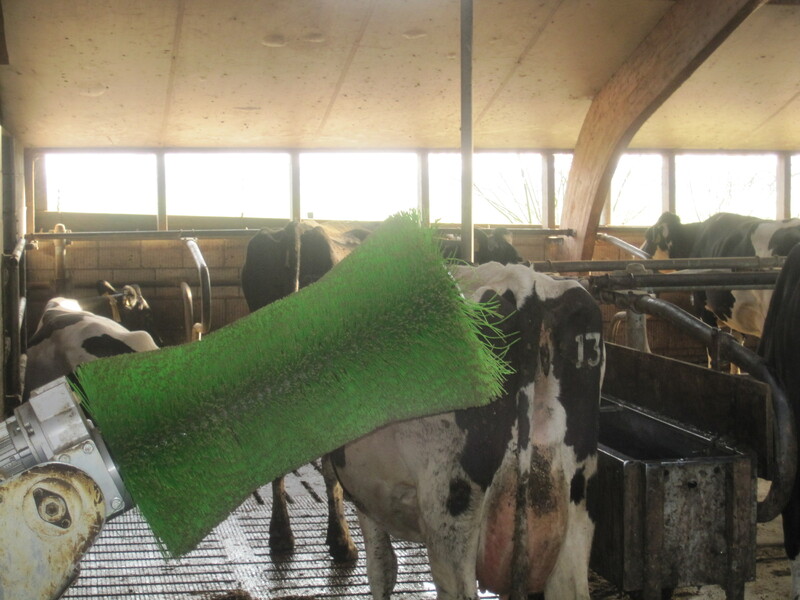 Approximately 9,000 employees work in the dairy industry.http://www.nzo.nl/?PageArea=2. 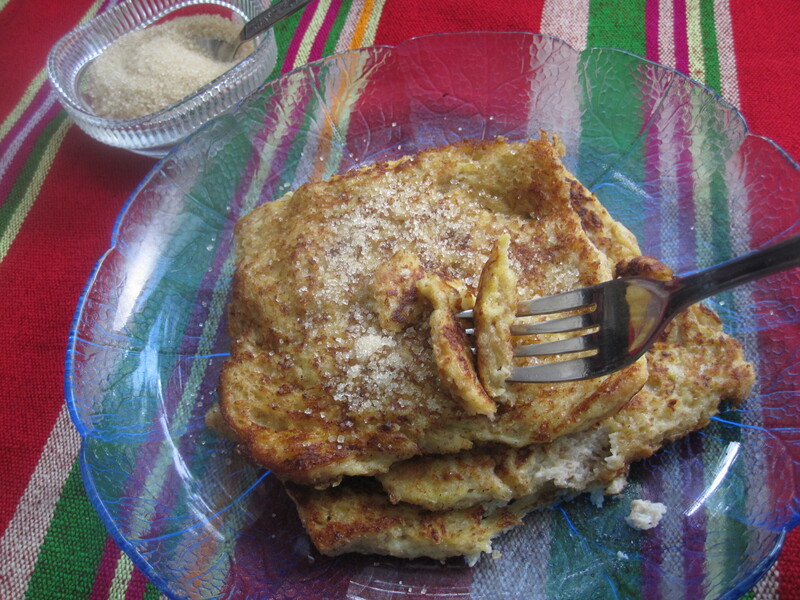 Wentelteefjes, which sounds quite complicated is a simple dutch version of french toast. French Toast called Pain Perdu which literally means ‘lost bread’ originated as a way to use stale or old bread, when storage facilities were rare. The recipe is taken from the book ‘Dutch cooking today’. 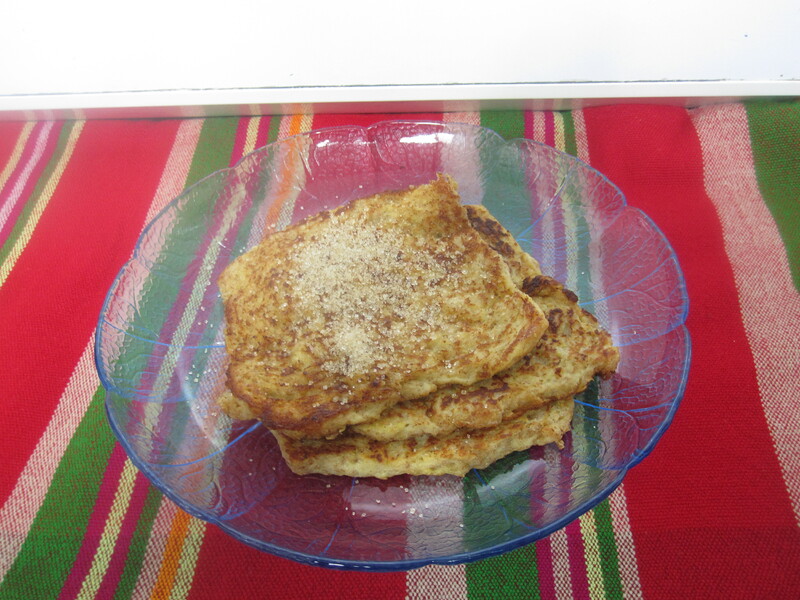 Serve the french toast sprinkled with soft cane sugar. Fresh bread is used instead of stale bread. Next Post Nanri! – dosaikal completes a year! I love french toast and make it all the time. I love the addition of the lemon to your recipe. Thanks to the treasure book that has given me wonderful orientation into dutch delights. I really loved the lemony flavour in the toast! Thanks for your comments. We still cherish those wonderful memories of the Netherlands, their farms and green pastures – and the Dutch Milk and milk products of course! Wow here I thought that fresh milk was only the prerogative of my childhood. Lovely post. Glad we can still relive our memories. Thanks. Walking past our memory is certainly a wonderful event.